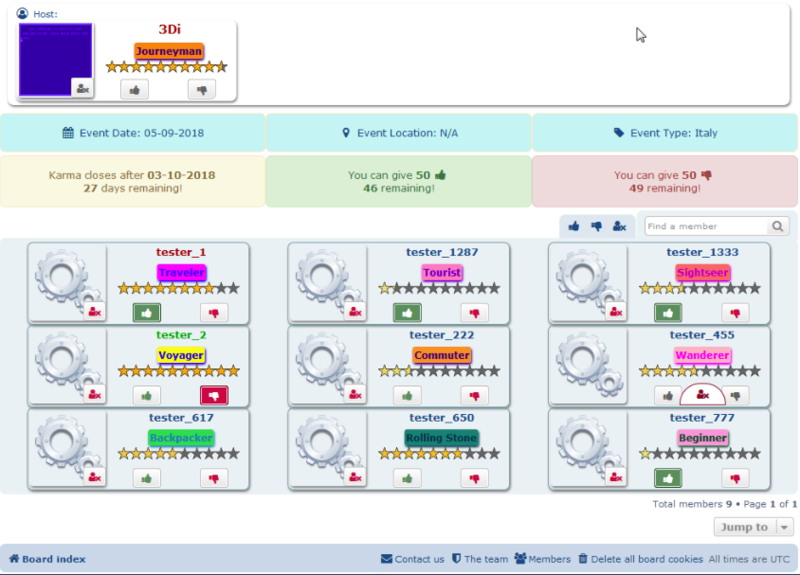 If you are running a board that is using events, in any way what so ever, this the extension for you. This extension provides all you will need for a successful events forum. 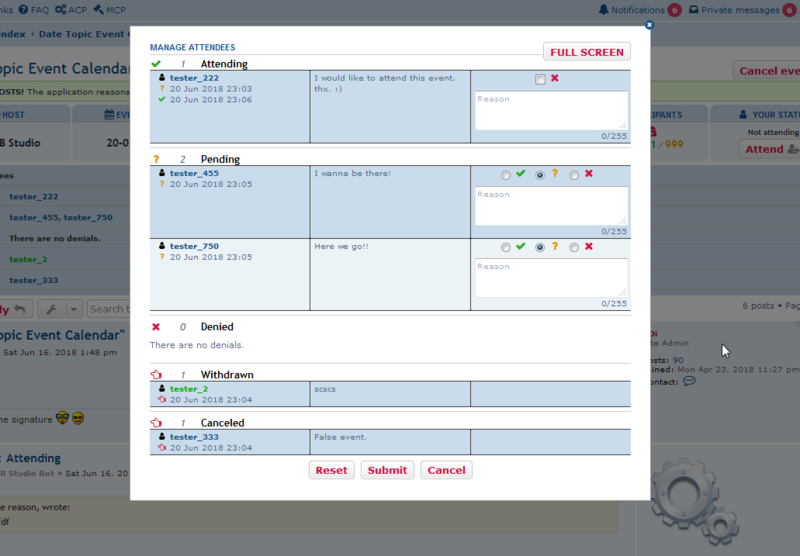 Let your users become hosts and organise their very own events. All sorts of details can be filled in, such as location(s), date, host, age range and much more. 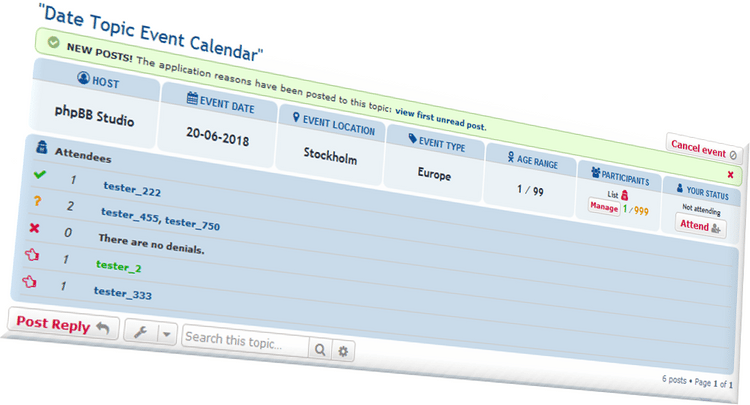 Once there are a few events created on your board, users can use filters to find an event they are interested in. If they have found one, they can send in an application to the host of the event. Apply, cancel, withdraw. The possibilites are unlimited. Filters, notifications, private messages, automated post replies. This extension has got it all and provides endless possibilities. This extensions helps you create an exceptional event everytime. After several months of gestation and hundreds of commits and tests we are proud to announce the release of version 2 that will be the upgrade of the present, many news implemented. In fact it will be the Revolution of the primary concept. Here is a list of the major news, in preview. adds 3 more ACP pages (tot. 6) for a very granular settings. adds many more but we haven’t had the time to update our Wiki yet. Wiki: Click!, read it before to ask! Issue not present anymore in phpBb 3.2.3.